April 13-23: LUCCA FILM FESTIVAL AND EUROPA CINEMA. Palazzo Ducale in Lucca, Astra and Central Cinemas, the Eden Cinema in Viareggio, and the Modern and the L. Viani Contemporary Art Gallery. 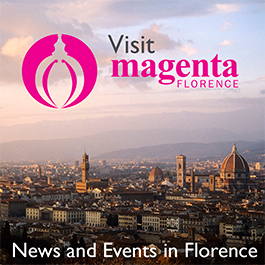 In Lucca and Viareggio the annual film festival that offers contemporary culture in the form of cinema, exhibitions, and conferences returns this year with exciting new events that will take in multiple locations in Lucca and Viareggio. A diverse selection of directors and actors will headline in special tribute events, from Americans Joe Dante and Mick Garris, to German Phillip Gröning, Italians Paolo and Vittorio Taviani, French Michel Ocelot, and Rutger Hauer from the Netherlands. The festival will premiere not only films, but masterclasses and success stories of these talented faces of cinema. All movies will have English subtitles, and the masterclasses will be interpreted into English. Several competitions will take place; the International Competition of Feature Films, Anteprime Fuori (Outside Previews), and the International Short Films Competition. There will be a multitude of tribute events, from Blade Runner 2019, to Kubrick inspired art by Andrea Gnocchi, along with an educational section dedicated to schools, and another to video art titled “Over the Real.” The events may include a masterclass from the director or actor, a screening of films, and/or an art show. A portion with an added focus on human and gender rights will also be featured this year. The festival begins at Palazzo Ducale in Lucca with an art exhibition of Andrea Gnocchi pieces that depict Stanley Kubrick’s films, which will be on display from April 6-24. Curated by Riccardo Felucci, the show is titled “Between Cinema and Painting,” and is focused on highlighting the connection between different art mediums. Kubrick’s aesthetically pleasing scenes from Clockwork Orange and The Shining come from his passion for photography and art history of all decades. Gnocchi, in reference to his paintings, says “as (Kubrick) was inspired by art, I am inspired by cinema.” The exhibition is open from 11 am to 1 pm and 4 to 7 pm, and is closed Monday. The event is free. Several tribute events and masterclasses will take place in Lucca, featuring the actors and directors mentioned above. The series starts with Michel Ocelot, known for his artistic animated films, such as Like Kirikù and the Sorceress (1998), Karabà (1998) and Azur and Asmar (2006) who will give a lesson on animation April 15. The class begins at 9 am and will be held at Auditorium Vincenzo da Massa Carrara in Lucca. Next on the list of tribute events is German Phillip Gröning, who will be receiving a career award April 16 at 8:30 pm, and will appear on the jury of the Festival Feature Film Competition. Actor Rutger Hauer will be a special guest at the “future” themed masterclass for the Blade Runner at 5 pm on April 18, will receive the Career Award April 19 at 8:30 pm, and will be present as a member of the international jury during the competition at Astra Cinema. Hauer will also participate in a unique performance titled Tears in the Rain, inspired by a moving monologue from Blade Runner, which will take place April 20 at 10 pm. Featuring cyberpunk costuming, and the Greek composer Vangelis’ music from the movie’s soundtrack, will recreate the futuristic atmosphere of the film. The show will be at Piazza San Michele in Lucca. Tears in the Rain will be in English. There will also be a screening of Hauer’s other films in celebration of his career as an actor. Joe Dante, director with the New World Pictures Formation, and known for his films Gremlins and Piraña, will also be receiving an award April 20 at 8:30 pm. Both Joe Dante and Mick Garris will be present for a masterclass April 20, at 5 pm at Astra Cinema. A tribute to Paolo and Vittorio Taviani will take place until April 23 at Palazzo Ducale in Lucca, with photographs by Umberto Montiroli that tell the story of their artistry. The tribute is themed “a Journey from San Miniato to Hollywood”, and has a special importance as it takes place a year after the death of Vittorio Taviani. On April 14 Paolo Taviani will be at the festival for the screening of their restored film Good Morning Babylon (1987). The exhibition will be open from Tuesday to Sunday, 11 am to 1 pm, and 4 to 7 pm with free admission. An interactive video art festival called “Over the Real” takes place in Lucca with the Europa Cinema event, on April 16, 19, and 20. From all over the world, 32 audio visual artists will have their works shown. The event is at 3 pm at Fondazione Banca del Monte auditorium in Lucca. The Best Feature Film will receive €300 from a jury that will have Hauer, Gröning and Ysée Brisson present, along with a selection of student judges from the university. The Short Film Competition awards a prize of €500, which have a jury made up of the university students, last year’s competition winner Armand Rovira, director and documentarian Martina Parenti, along with filmmaker and photographer Stefano P. Testa. Sixteen films will presented April 15, 16, and 17 from 14 different countries across the globe. A big focus on the festival will be on human rights, especially those of women. Films will tell stories of the emigration of young Italians, experiences of Jewish children who escaped death camps, female protagonists, and several with documentaries. The cost of the festival is € 20 for a complete subscription, €15 for a reduced subscription, €9 daily, €8 daily reduced, €5 for a single event, and €4 for a reduced single event. With Europa Cinema is Womanity, a new film by female director Barbara Cupisti that tells the story of the positive impact of women in society from many diverse cultures, societies, and environments. The movie shows at 10 am at Eden Cinema on April 13. Philip Groning will be presenting his film My Brother’s Name is Robert and he is an Idiot at 5 pm on Saturday, April 13 at Cinema Centrale. The story is a German drama following twins through their experiences of childhood, puberty, philosophy, and sexuality. From Paolo and the late Vittorio Taviani comes Good Morning Babylon, a film the two created in 1987, that follows the story of two Italian brothers that emigrate to America and work on a movie set. The movie shows at 5 pm on April 14 at Astra Cinema. The animated film Dilili in Paris, by Michael Ocelot, follows the story of a girl investigating kidnappings, and the interesting men and women she meets. The movie premieres at 9 pm at Astra Cinema on April 14.